How was your weekend? Mine was pretty good! However being that it is now Sunday, I am exhausted. I kind of had a lazy Sunday!! I planned on baking and doing lots of things on my Sunday but I really didn’t do too much once the afternoon hit. Basically it was doing laundry, cleaning out the fridge and prepping my meals for the week. Now I am just chilling out and writing my blog. This morning, even though I was feeling lazy, I did managed to get in 30 minutes of cardio. It felt great afterwards. For breakfast I wasn’t feeling like making anything to much and I was really thirsty, so I whipped together this wonderful, creamy pumpkin smoothie. I made this smoothie with pumpkin, greek yogurt, a frozen banana, fat-free milk, pumpkin pie spice and maple syrup. It came together nicely. 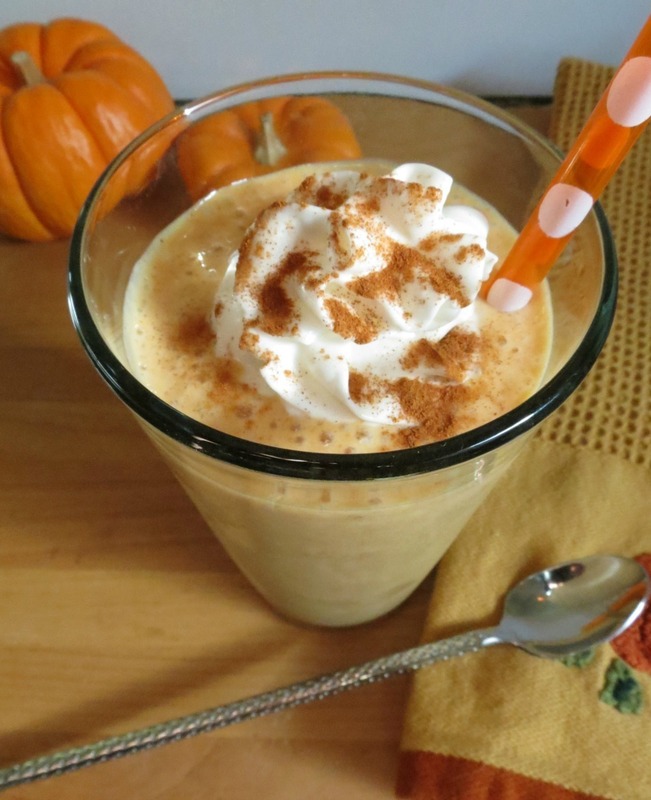 It’s creamy, light, sweet and tastes just like pumpkin. I loved it so much I’m making it for breakfast to take to work tomorrow. It’s only 156 calories, 4 grams of fiber and almost 15 grams of protein. It kept me filled up for a few hours! 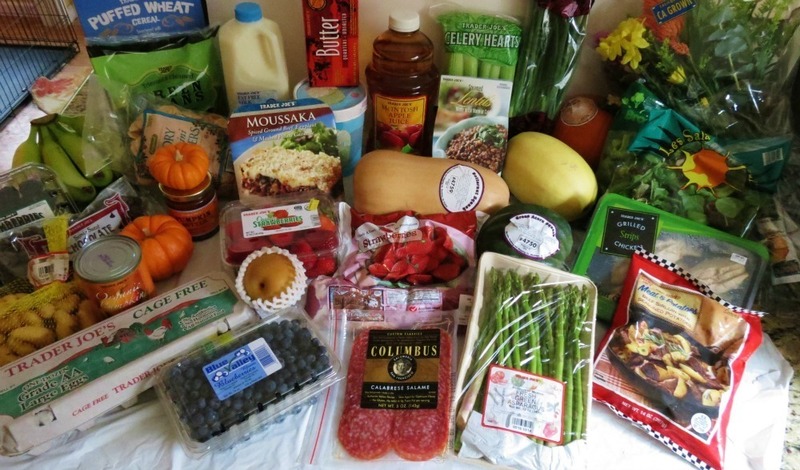 I did do a little grocery shopping at Trader Joe’s this morning to pick up some odds and ends and to start my week off eating healthy! I took a pledge that next month I will try to stay away from processed foods. That’s going to be tough, but I can do it!! Here’s what I bought at TJ’s. There’s a few new items hidden in there Can you find them? Did you spot them? Well my Friends I have some good news for you! It’s back…. So happy it’s back!! I was shocked not to see it on their new item shelf, even though it’s not really a new item. But when I was going down the aisle there it was, calling me to buy it!! So I did!! Speaking of squash, the lady at Trader Joe’s saw that I was buying a butternut squash and she told me you can eat the skin. She said Jamie Oliver said he does it. So I googled it, and guess what? He does! So I thought I would give it a try! Sure enough it worked and it was pretty darn tasty. The skin is not tough, maybe a little chewy, but it’s not bad at all!! I will be doing this for now on. It beats peeling the squash. The texture kind of reminds me of an apple. To make this squash, I cut the top and the bottom, placed the squash upright and cut down the middle. With a spoon I took out the seeds and stringy stuff. I sliced it into pieces. Placed on a parchment lined baking sheet and added 2 tbsp. olive oil, a sprinkle of salt, pepper, cinnamon and cayenne pepper. Roasted it in a 400 degree oven for about 30 minutes, flipping half way through. Cook until fork tender. It was pretty easy! You should try it!! I bought the new Food Network October magazine and I found this chart, which I thought was pretty nice. I took a picture of it so I can share it with you! Pretty handy little chart!! I didn’t know there was that many kinds of squash! 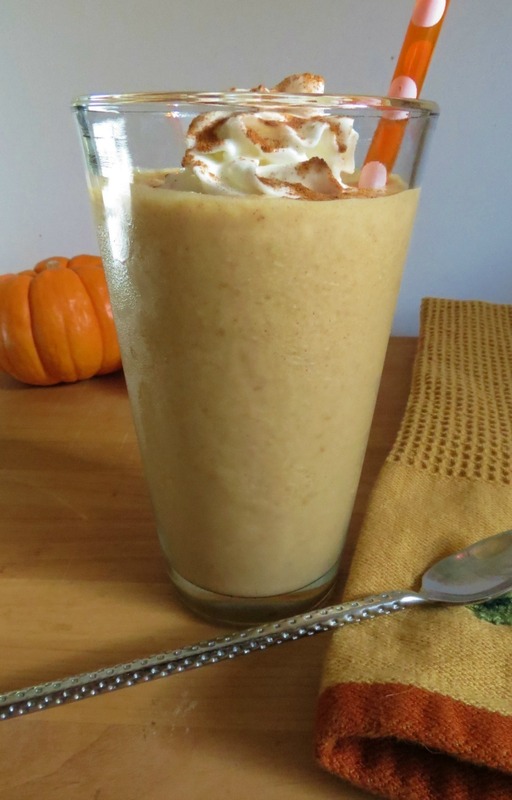 A creamy, healthy smoothie that tastes like pumpkin pie! It seems like a squash kind of day! Do you like squash? If so what is your favorite kind? 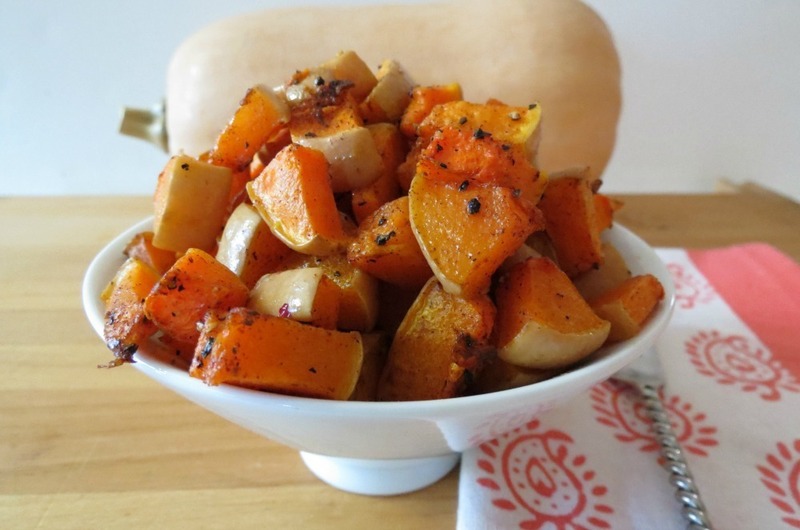 I plan on making lots more squash recipes this week!! I also want to let you know I updated the Trader Joe’s page. P.S. I just think this picture is cool! The sun is shining on my pumpkin smoothie!! Thats one thing I love about the Midwest is the fall and all the fall festivities! It’s not the same in California!! Ohhh, pumpkin pies sound delish!! I just found your blog. Your posts are hilarious and your recipes are interesting! Great healthy tips, thank you! Ahhh thank you so much! Please stop back anytime! I never thought of leaving the skin on either but it’s not bad!! A little chewy, but good!! I hate peeling the skin, I think that is why I don’t cook it as much, but not anymore. I just recently found your blog and I love it! You put a lot of time and effort into it and it shows. I tried your sugar cookies yesterday and me and my family loved them! I’m looking forward to trying this smoothie! I love anything pumpkin. I’m so glad you and your family liked the cookies. I think there so cute and so easy!! There perfect for the fall!! I am jealous that your Trader Joe’s already has canned pumpkin and pumpkin butter. The store near me does not have them yet, and they were out of the Greek pumpkin yogurt. I did get pumpkin coffee, granola and pumpkin soup, though! The cashier said they should get in pumpkin cereal bars soon, which are new. They have Greek yogurt pumpkin!! We don’t have the coffee yet and I can’t wait for the pumpkin cereal bars!! I’m so excited for all of the pumpkin! I want to go to TJ’s now and see if anything new is in stock!!! Thanks for telling me!! This looks so good! 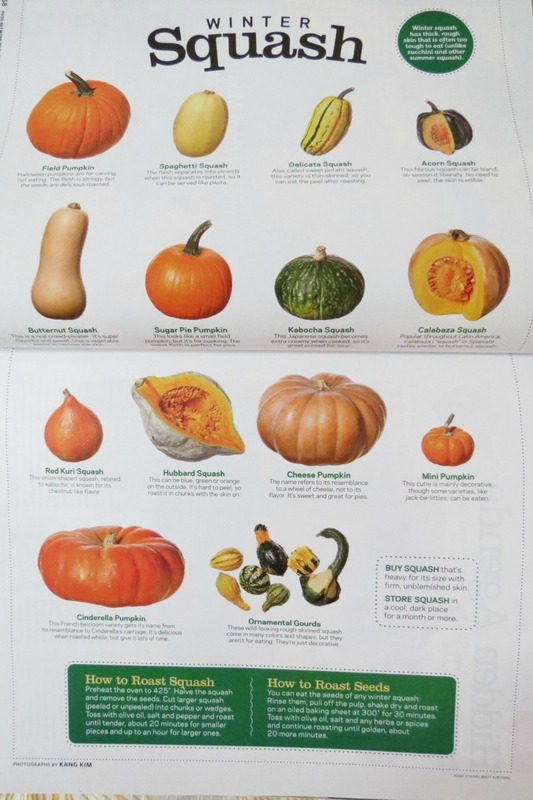 Love the squash chart… so interesting! 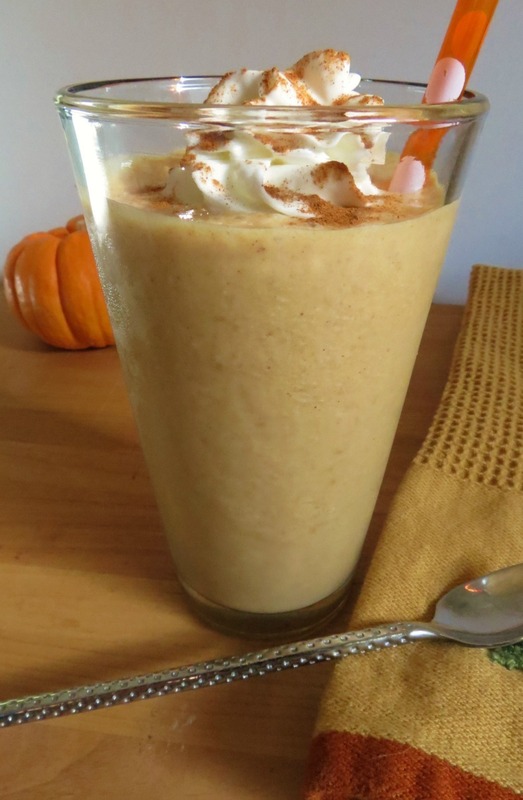 Great smoothie idea – we are gearing up to start enjoying some pumpkin dishes, so I will definitely be adding this to the list of breakfast treats! Also, like the photo, I can tell you used some of the tips from the workshop on Saturday. Keep shooting. Thanks Denise!!! I had a lot of fun at the photography shop. It was so nice to meet you!! I love anything with pumpkin, I have to try the smoothie now! Great post! Yummy, that smoothie looks wonderful! 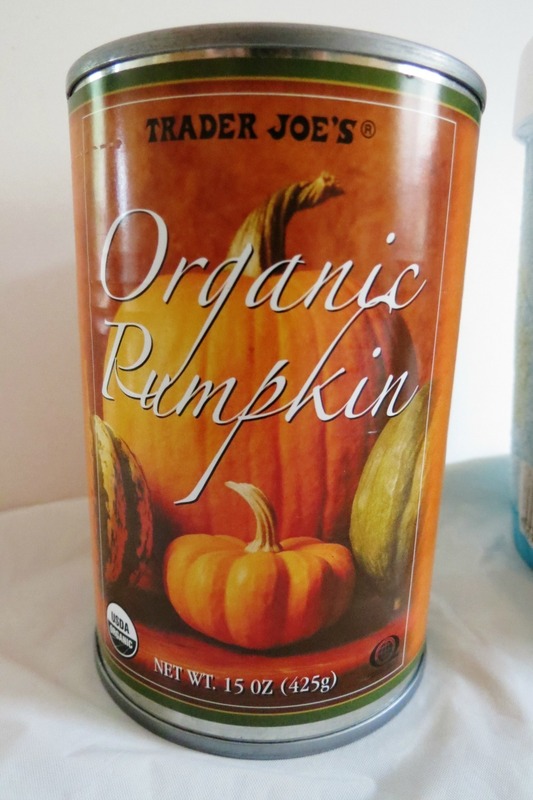 I STILL need to buy one of those cute pumpkins at TJs and find a fun recipe to try. This one is definitely on my list!! Thank you! I do love the pumpkins!! There adorable!! Darn TJ’s and all there fun stuff!! New follower and fellow blogger with Emeril’s #SeriousSandwich! Enjoyed this post, and the Squash chart! Hi Susan!! I’m going to hop on to your blog and check yah out! I just got my cookbook today and I can’t believe how big it is!! Lots of good recipes for everyone!!! Thanks, I have to make this! This looks amazing! 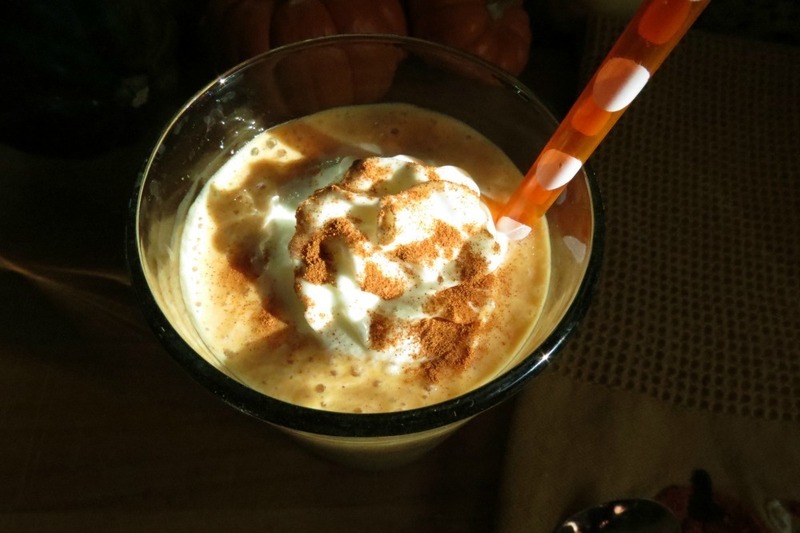 I love pumpkin and this smoothie is going on my Fall “To Make” list. Thanks so much for linking up to Creative Thursday. Can’t wait to see what you share this week! Have a wonderful week. Hi Jen, When you make this the day before do you store in the refrigerator or the freezer? What I did once, is freeze it at night n a ziplock freezer bag and in the morning I put it in the fridge. After about 4 hours, it was soft enough to mash up with my fist! Then pour it in a glass and enjoy!! I am definitely going to try your smoothie! There are a lot of squash out there. I would love to see a comprehensive guide somewhere. I just bought some turban squash today. It is very cool. I had no clue there were so many different varieties of Squash & I don’t know what will happen when we add the Indian varieties to that list. Squash heaven. I am really intrigued by the recipe. Will try. Indian Squash! I need to know more! I don’t think there has been a squash I didn’t like!